Oh my goodness, this guy!! It hit me then that cooking with my kids from the time they were little became such a natural thing that they didn’t even know they were learning. 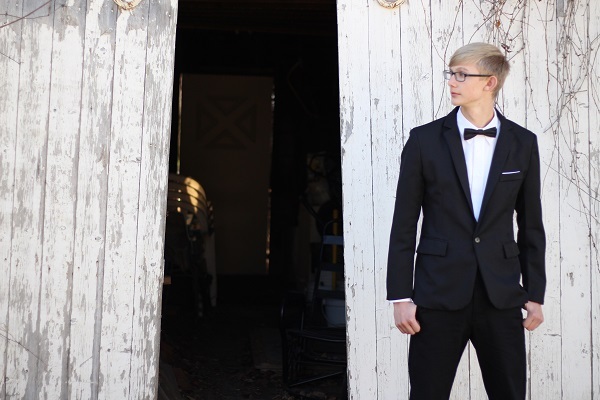 To Justus, cooking is just cooking…a normal part of any day. There’s nothing hard about it for him because it’s just a fact of life. Sure it takes effort, and sure at any given time my boys would rather sit on the couch playing a video game. 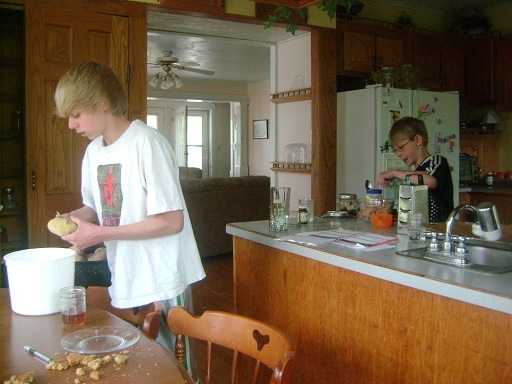 But when I say, “Justus I need you to brown the meat for dinner; Elias please make Guacamole; Malachi head on in and get the veggies ready…” they just do it. What started with me “letting my boys help” in the kitchen has turned into my ability to turn them lose. During this on-the-run season in our lives, I’m really not sure how I would keep them all fed if they didn’t pitch in and help. 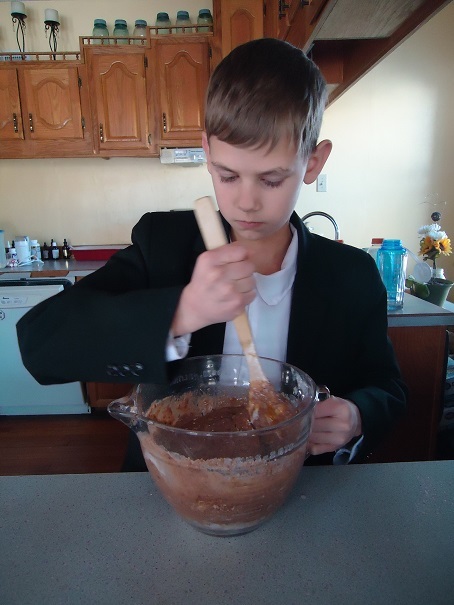 My turn for a confession: I found it easier to naturally teach my older three boys to cook, but my youngest kind of got the shaft. Why? I think because by the time Malachi was old enough to truly be of help, I already had three bigger boys doing the jobs I needed done. Then when the older boys got busier and didn’t have time to help as much, I didn’t have as much time to focus on teaching Malachi the basics. Oops. 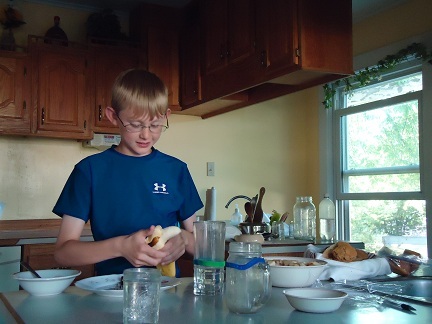 He and I sat down together and went through the Kids Cook Real Food eCourse together. 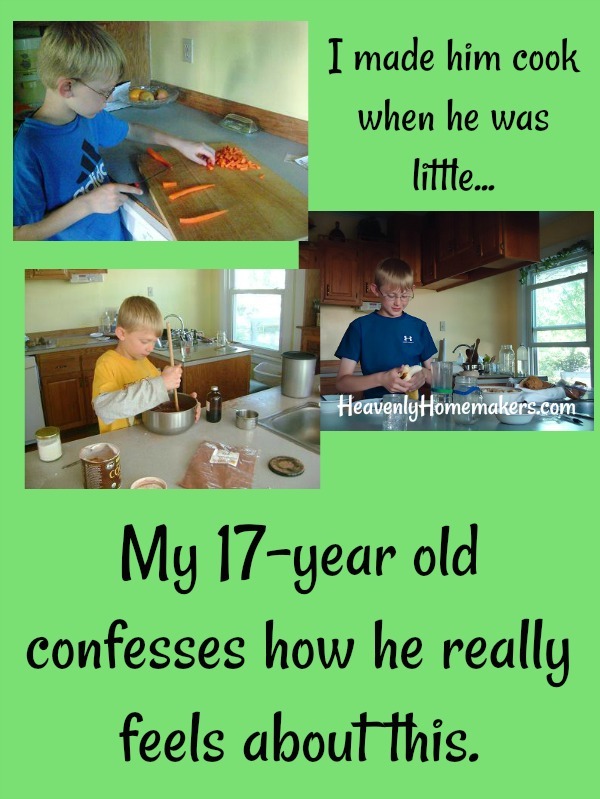 That was the magic bullet for both of us as it finally inspired him to want to get in the kitchen and gave him all kinds of confidence! And it helped me because the course did most of the teaching so my overloaded brain didn’t have to think so hard or work so hard. Why reinvent the wheel, right? 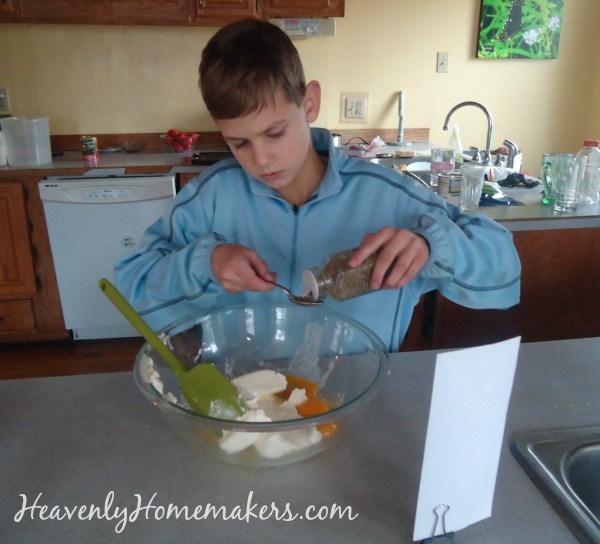 Check out the wonderful Kids Cook Real Food eCourse your entire family can enjoy together. 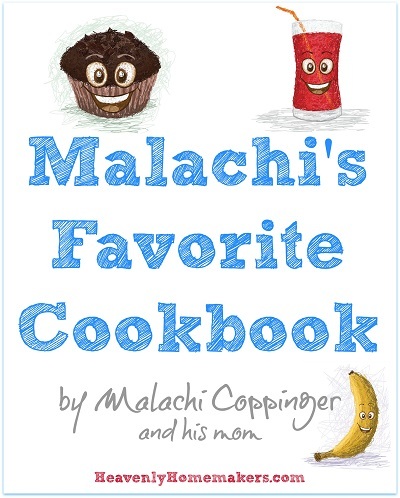 Malachi and I can’t recommend it highly enough. Want a freebie? Get a FREE Kid-Friendly Real Food Snacks Recipe download. This is a lot of fun, and a great way to motivate your kids to get into the kitchen with you this summer. And it’s free, so why not? 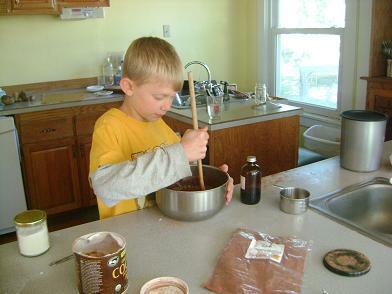 What are ways you’ve found to make it easier to teach your kids to cook? Be sure to get the Healthy Kid Friendly Snacks Freebie here!